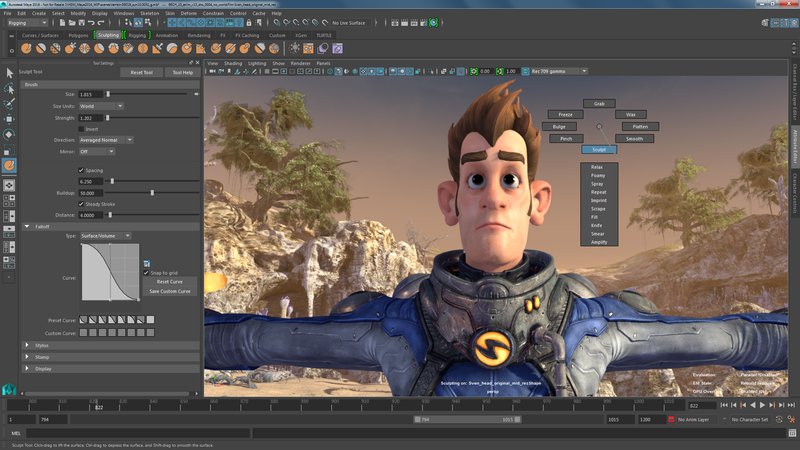 Maya is the premier application for creating compelling 3D digital content, including models, animation, visual effects, games, and simulations. Creating models. Polygons, Non-Uniform Rational B-Splines (NURBS), and subdivision surfaces are different object types with different ways of modeling. Each has its own strengths, and different artists prefer working with different types. Polygons let you model a surface by building up and reshaping a number of simple surface facets. NURBS let you easily create smooth, curving surfaces with high-level control. Subdivision surfaces let you edit surfaces at a high level with minimum overhead data, while still letting you work with subsections of the surface as if they were made from polygons. Character rigging. Most animations involve “characters,” articulated models such as a person, an animal, robot, or anything else that moves by articulation. Maya lets you define internal skeletons for characters and bind skin to them to create realistic movement with deformation. Animation. Just about everything you can think of in Maya is keyable or able to be animated. Dynamics, fluids, and other simulated effects. Maya includes a comprehensive suite of tools for simulating real world effects such as fire, explosions, fluids, hair and fur, the physics of colliding objects, and more. Painting and paint effects. 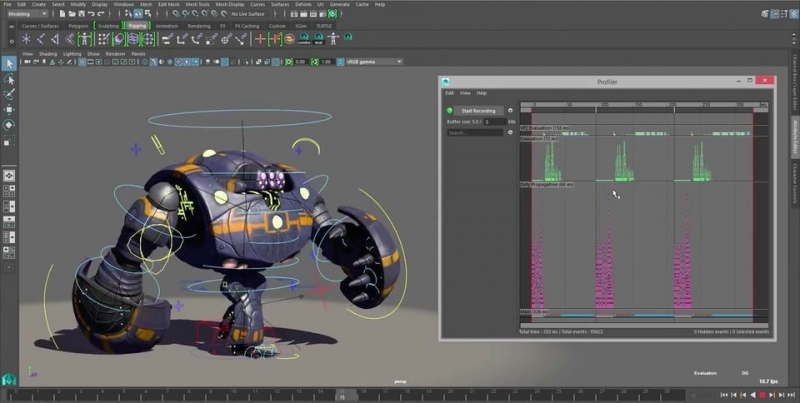 Maya includes an incredible system for using a graphics tablet (or the mouse) to paint 2D canvases, paint directly on 3D models, paint to create geometry, scriptable paint, and virtually limitless other possibilities. Lighting, Shading, and Rendering. When you want to render a still image or movie of your scene or animation, you can create them using your choice of renderers.